Picture this: I’m standing in the kitchen, pulling the ingredients together for the super awesome crock-pot dinner I had planned for the evening. I grab the bag of potatoes – which has two in it – and discover that one of them is rotten. Moldy. Squishy. I need two potatoes for the recipe. I turn back to the potato drawer and see that there are three little red potatoes left. “Well, I guess that will have to do,” I think to myself. So, I go to work preparing dinner. A little bit later, a sense of failure washed over me. “Why didn’t you check the potatoes before grocery shopping? That was dumb! You could have gotten more.” I went for a walk (my time to decompress), and realized there are two perspectives to my potato incident. I could see it as a failure – I hadn’t ensured that both potatoes were still edible. Or, I could see it as a moment of resourcefulness. I didn’t have two good russets, so I subbed in what I had on hand. I think it’s the same way in our walk with the Lord. When he allows us to hit bumps in the road, we have two options: to see it as a bump in the road and cry and moan about it, or we can see it as an opportunity for growth. In my experience, when I can shift my perspective to see life’s difficulties as a chance to grow, the situation becomes more bearable. I have a sense of direction now. 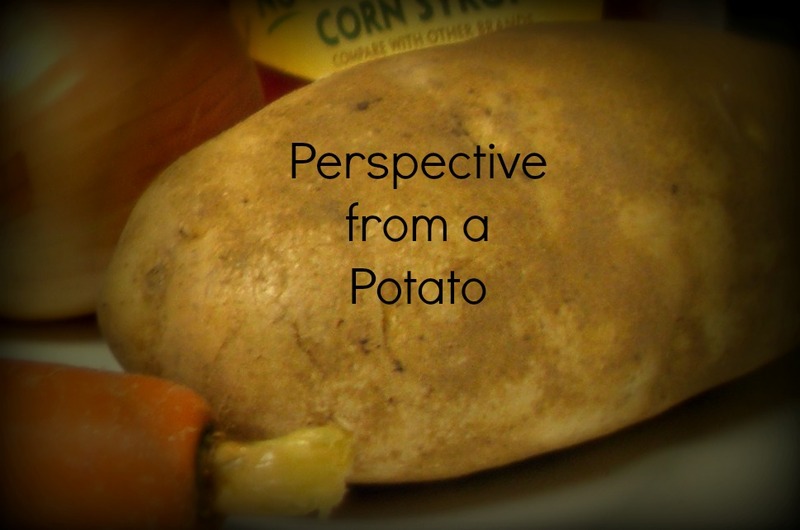 So maybe my potato incident wasn’t “discipline”, but I think it illustrates the point of perspective. When those difficulties in life do show up, changing our perspective makes such a difference. Knowing that those difficulties (discipline) will grow us – it makes me feel a lot better. Posted in Uncategorized and tagged Bible, God, Potato, Spirituality. Bookmark the permalink.